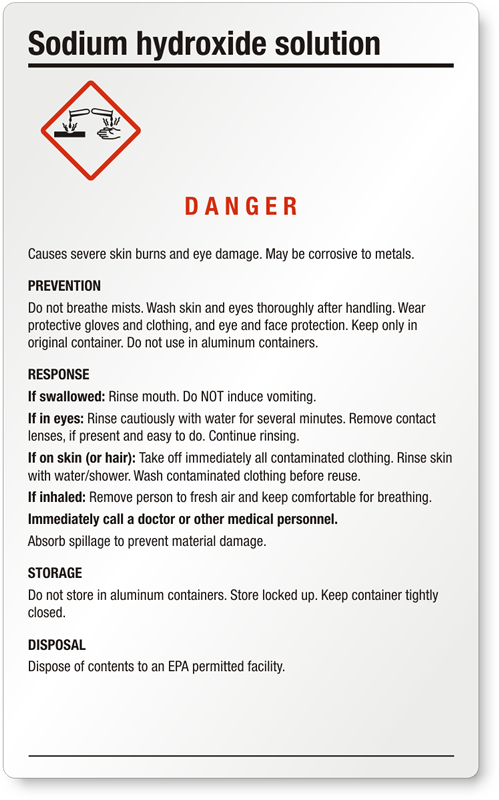 • White, odorless, hydroscopic flakes, lumps, or pellets. 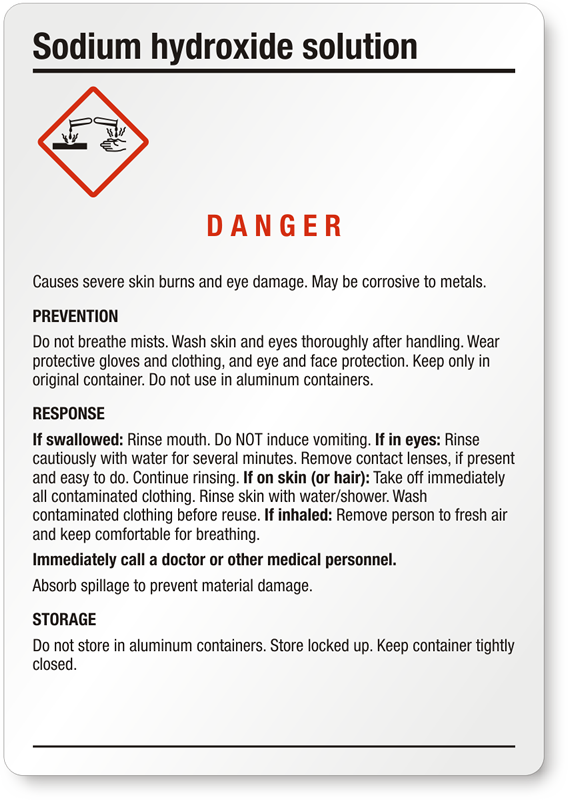 Highly corrosive! 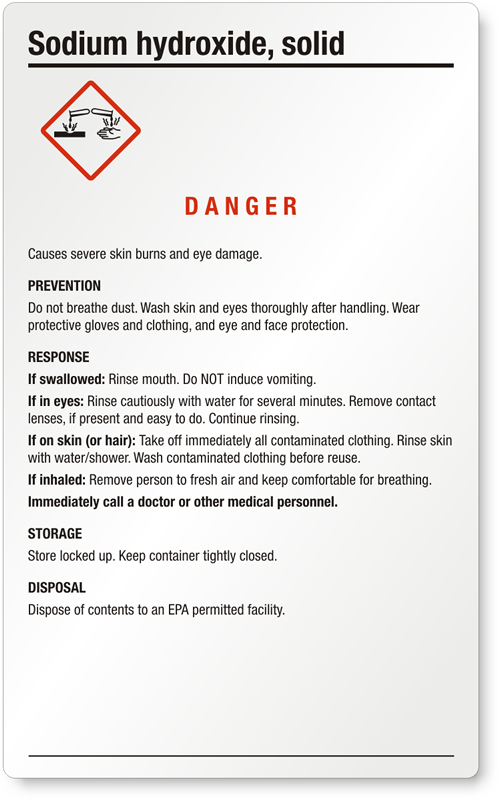 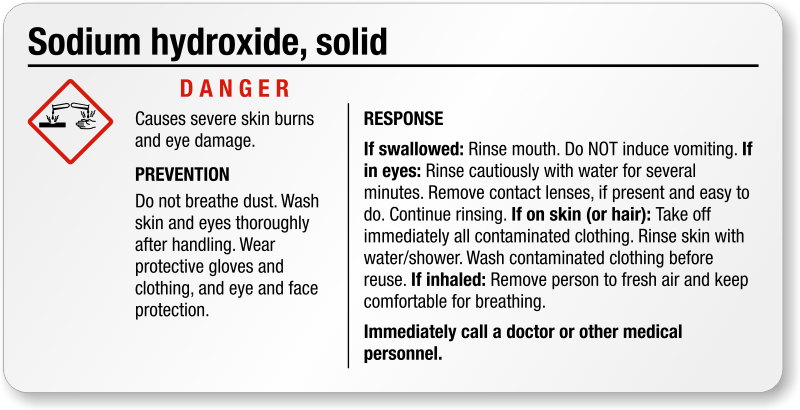 Causes severe eye, skin, and respiratory tract burns. 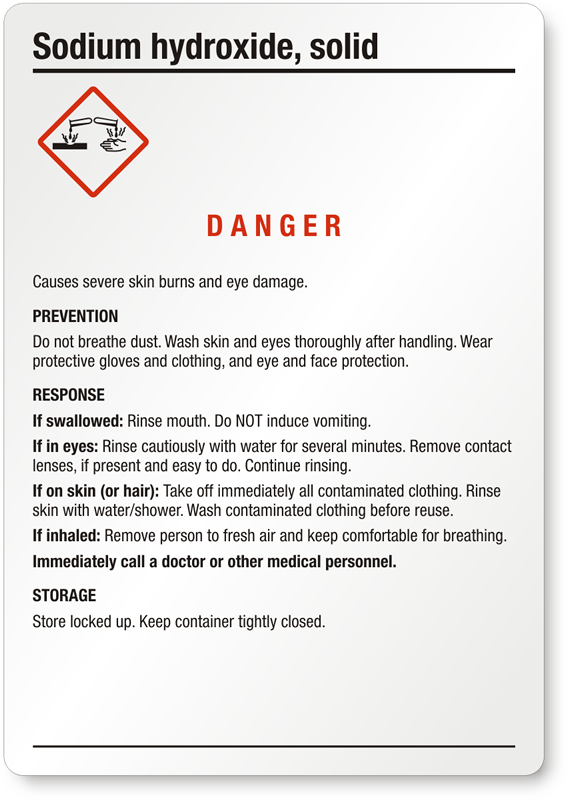 Repeated skin contact can cause dermatitis. 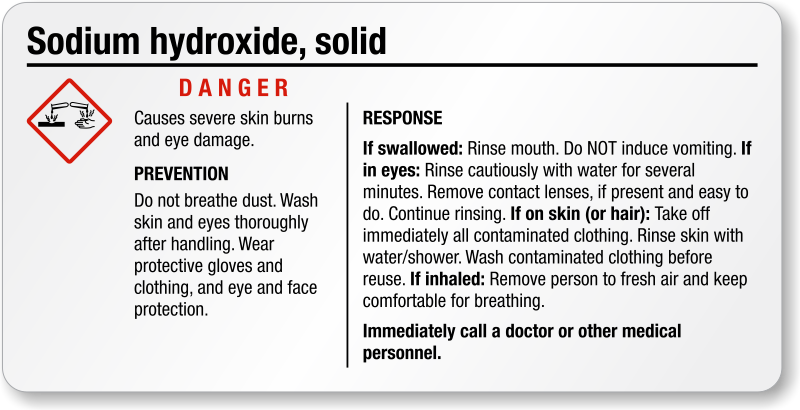 Reacts with water producing excessive heat. 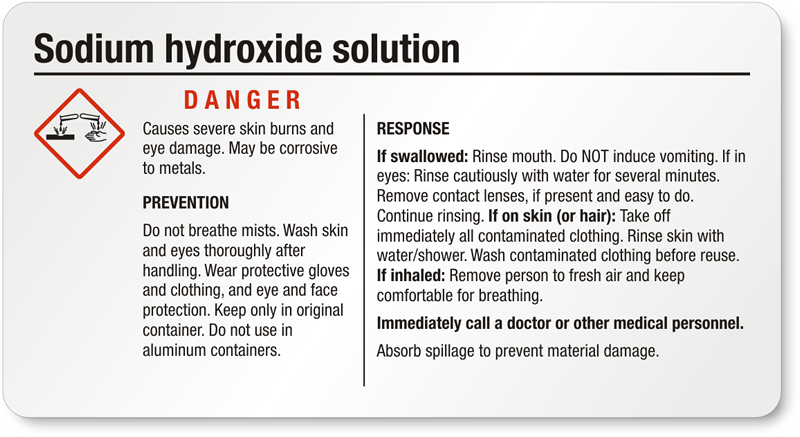 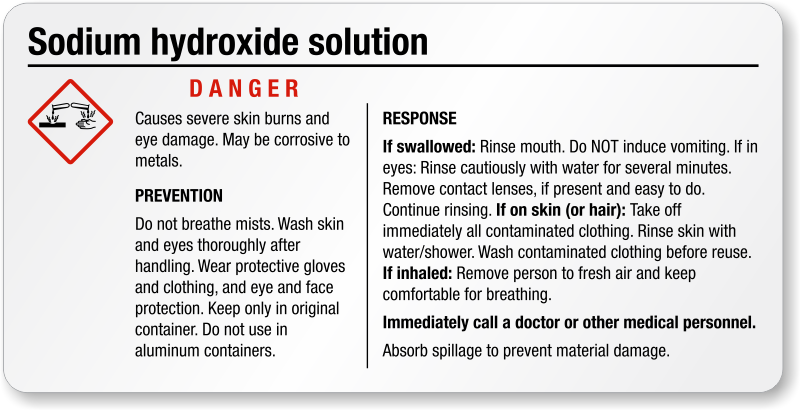 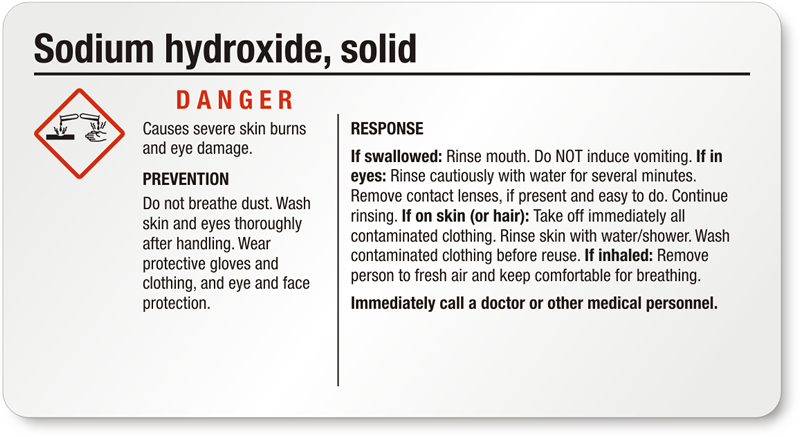 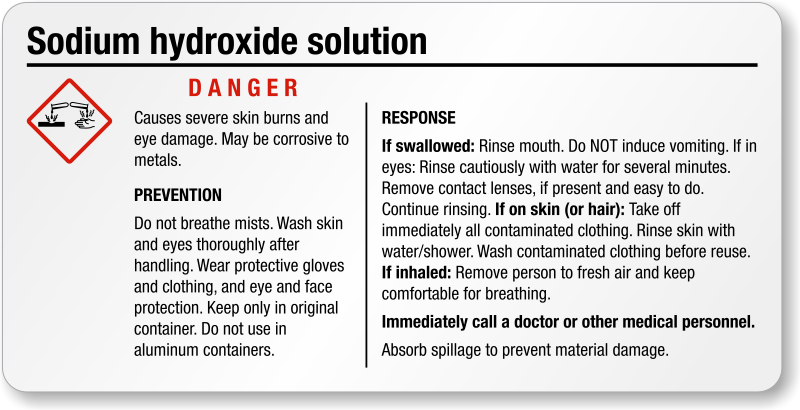 Sodium Hydroxide: Causes severe skin burns and eye damage.